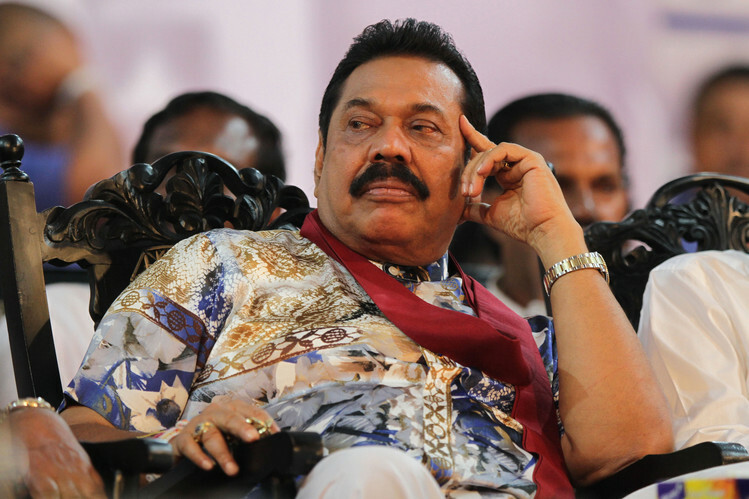 The question whether ex-President Mahinda Rajapaksa is eligible to be appointed to the Prime Minister’s post if he has the support of a majority of members in Parliament following the August 17 poll is the subject of current debate. President Sirisena has made public his intention not to appoint Rajapaksa as the Prime Minister and has hinted that ‘there are enough seniors in the party to be the Prime Minister’. There are some within the UPFA who want Rajapaksa as their Prime Minister in the event of a UPFA majority in Parliament. A.H.M. Fowzie, for instance, has acknowledged that the appointment of the Prime Minister is the prerogative right of the President but that, after the elections are over, the UPFA ‘will prevail upon President Sirisena to accommodate Rajapaksa as the Prime Minister’. Another UPFA candidate has threatened to do a Dahanayake and run around with the mace if Mahinda Rajapaksa is ignored for the post. G.L. Peiris has weighed in to say that nowhere in the constitution is it stated that a former President cannot become Prime Minister. The President, he said, must appoint as Prime Minister the member who commands the support of a majority of parliamentarians, and he must appoint Mahinda Rajapaksa if he happened to be that person. Former Chief Justice Sarath Silva has declared as untenable the argument that Rajapaksa is disqualified from acting as President simply because he has already been elected twice as President. It is the President who must appoint the Prime Minister. His power to appoint the Prime Minister is located in Article 42 (4) of the Constitution. It is stated in that Article that “[t]he President shall appoint as Prime Minister the Member of Parliament, who, in the President’s opinion, is most likely to command the confidence of Parliament.” Those who would like Rajapaksa as their Prime Minister have, it seems, argued that the President is bound by British Parliamentary conventions in the appointment of the Prime Minister. Lal Wijenayake (Colombo Telegraph 30.07.2015) has argued to the contrary, asserting that the President is not just a constitutional figurehead and that the appointment depends on the opinion of the President. He has identified certain reasons which might have led President Sirisena to form his opinion against a Rajapaksa premiership. I take a different approach and venture to suggest that an analysis of the Constitution would point to impediments in the Constitution that would constrain the President’s discretion under Article 42 (4) so as to prevent him from appointing Rajapaksa as the Prime Minister. Let me explain. A provision in the constitution has to be read in its context and as part of a whole. A part of anything cannot be understood without an understanding of the whole. It must be read in harmony with the rest of its provisions. Article 42(4) cannot be read on its own, and there are other provisions in the Constitution that would impinge upon the interpretation of this provision. Articles 31 (2) and 92 provide that no person who has been elected twice as President shall be qualified thereafter to be elected to such office by the People. It is not disputed that they operate to disqualify Rajapaksa from being elected as President because he has been elected twice already. The prohibition against a person holding the office of the President for more than two terms has as its rationale that the perpetuation of power in the same person is likely to lead to its abuse. It has a democratic basis. The people voted out the ex-President at the recent poll because they did not want him to serve a third term. The Eighteenth Amendment, that permitted the ex-President to contest a further term, has been abolished by the Nineteenth Amendment, which has reinstated the two term limit. If Mahinda Rajapaksa is appointed as Prime Minister it would enable him, in certain circumstances, to exercise the powers of the President, albeit temporarily. The problem that would arise if Rajapaksa is appointed as Prime Minister becomes apparent if we examine those provisions in the Constitution which provide for the Prime Minister to act in the President’s office, either because a vacancy has arisen in that office prior to the expiration of the term of his office or because he is unable to act temporarily. A vacancy in the President’s office can arise, for instance, upon his death, resignation or removal from office. In that case, Parliament shall elect one of its members as President for the unexpired period of the term, provided that the person so elected by Parliament is ‘qualified to be elected to the office of the President’. As Rajapaksa is disqualified by Articles 31(2) and 92 to be elected as President, Parliament cannot elect him to fill a vacancy in that office, even if the unexpired period of the term is only a day and the members are unanimous in their desire to elect him. If a person cannot be elected as President by the People, then he cannot be elected by the representatives of the People. It is provided that where the vacancy arises upon the President’s death, for example, the Prime Minister shall act as President until the vacancy is filled by an election by Members of Parliament. There are other occasions when the Prime Minister may have to act temporarily in place of the President. Such an occasion may arise, for example, when the President’s election has been declared void by the Supreme Court pursuant to an election petition. In that case, the Prime Minister is required to act as President until such time as a fresh presidential poll is taken. The President may also appoint the Prime Minister to act in his place in the event of his illness or absence from Sri Lanka. On these occasions the Prime Minister gets to become the President by a process other than by election. As Article 31(2) disqualifies a person who has been elected twice as President from thereafter being ‘elected to such office by the People’, can it be suggested that there is no prohibition to that person occupying that office other than by election? It is not a valid suggestion. The objective underlying the prohibition against a twice elected President from being elected for a further term is to bar him from exercising the powers of that office. It should not, therefore, make any difference as to how he gets to exercise those powers. If a person cannot be elected as President, then it should follow that he cannot also be appointed to that office. It would be illogical to argue that the People cannot elect Rajapaksa as President even for a day, but the President, who is elected by the People, may appoint him to act in that post. It is a maxim of law that what cannot be done directly, cannot also be done indirectly. The provisions of the law cannot be evaded by shift or contrivance and the objects of a law cannot be defeated in an indirect or circuitous manner. Indeed, Article 40(2) says that the provisions of the Constitution relating to the President shall apply, in so far as they can be applied, to an acting President. It has been suggested that it would be contrary to democratic principles not to appoint Rajapaksa as Prime Minister if a majority of the members wish to have him appointed to that office. However, it is negated by another democratic principle embodied in the prohibition that a person should not be allowed to wield presidential powers directly or indirectly beyond a certain period. *Dr Reeza Hameed is an Attorney-at-Law and this article has been published on Pakistan Horizon with permission and thanks. See earlier posts by Dr Hameed on important constitutional issues here and here and here.